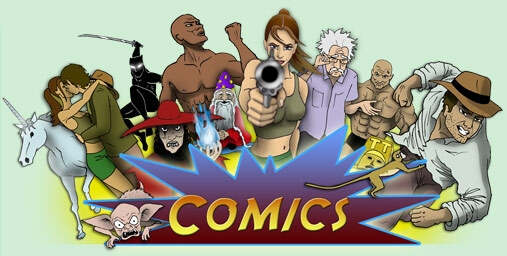 Comics accompany our bi-weekly newsletter that is e-mailed to our members. They feature all of the TreasureTrooper characters, including Jack Amazon, Clara, Mabutu, Professor Cogg, and Jango the Monkey! Archived below are copies of all previous comics, starting with the most recent saga. Click a thumbnail picture to view the entire comic.